Tango for Mangoes: ".. there's also a good selection of smaller varieties available and, with pruning, you can even accomodate some of the larger mangoes in an average-sized backyard." Today is our coldest morning at the nursery since 2007. It was an icy winter wonderland first thing this morning. 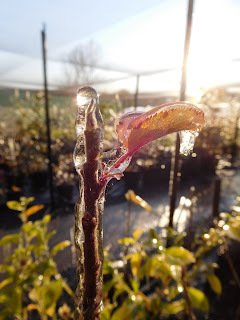 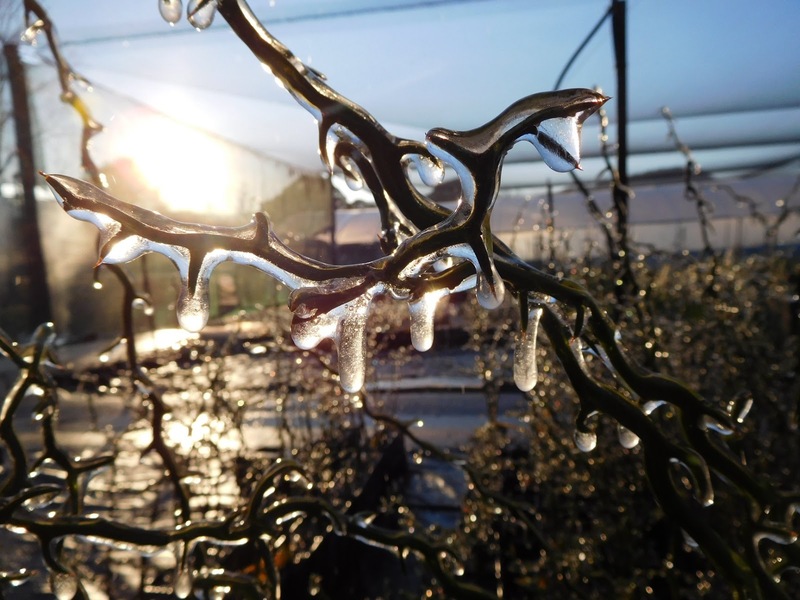 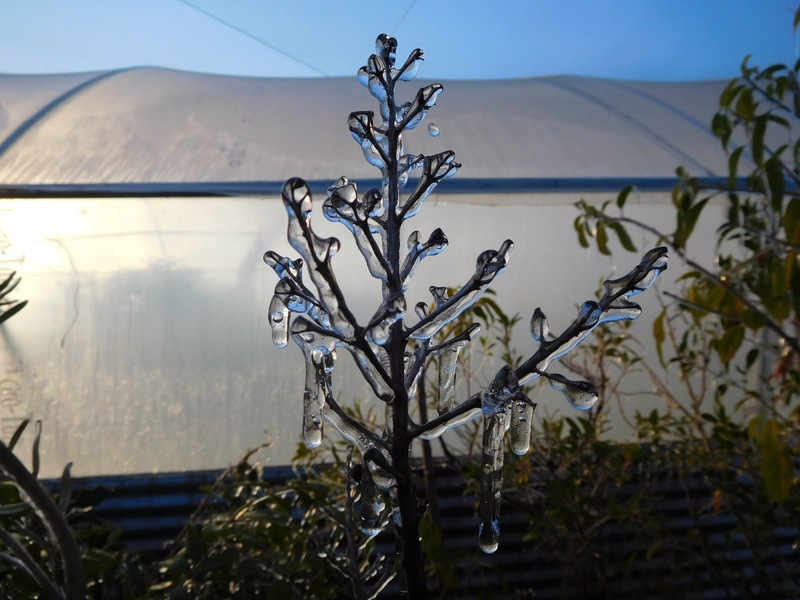 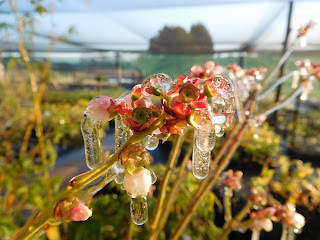 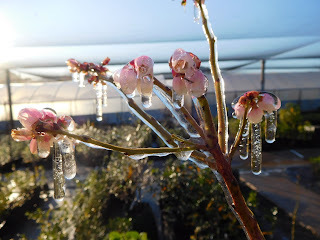 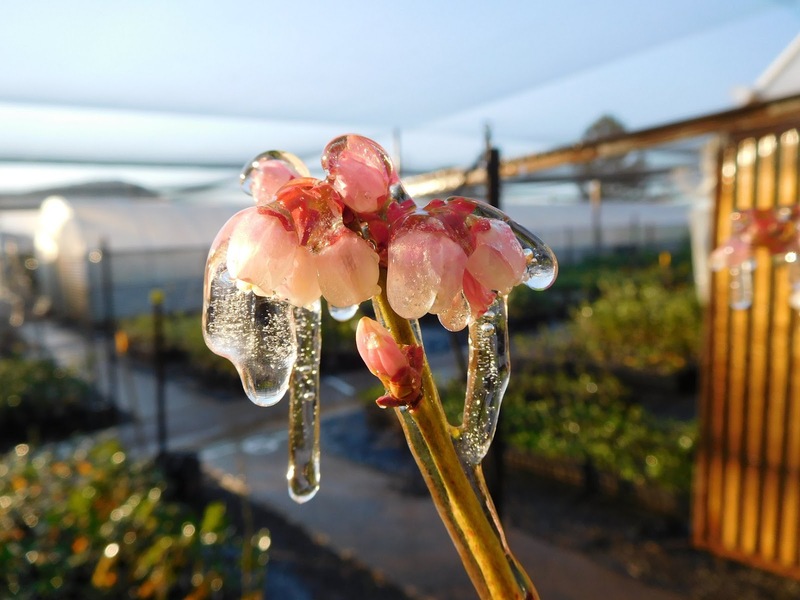 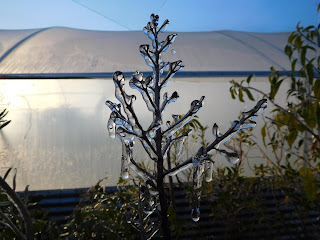 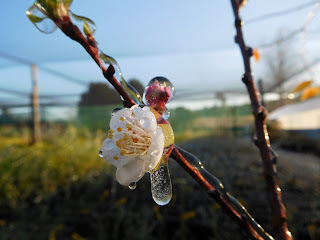 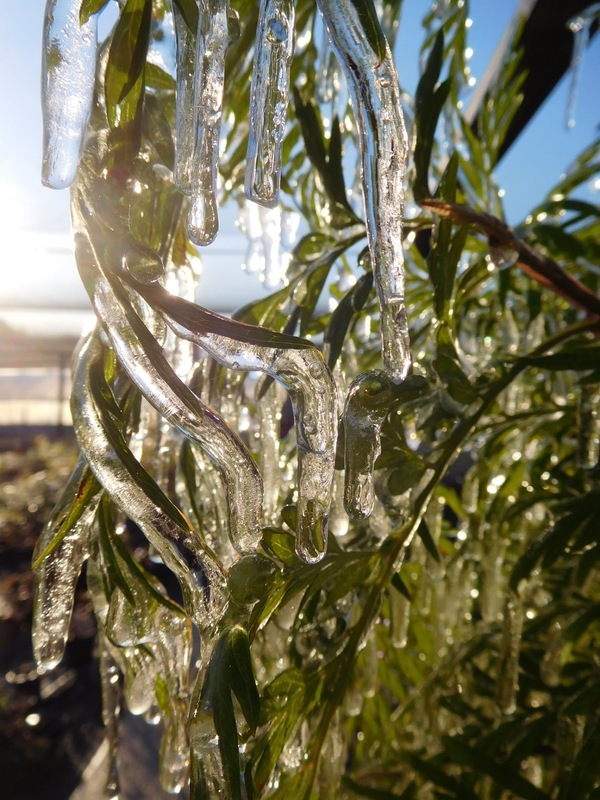 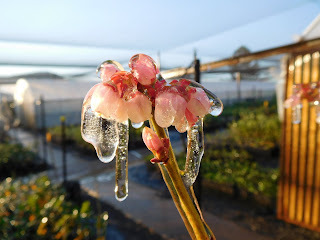 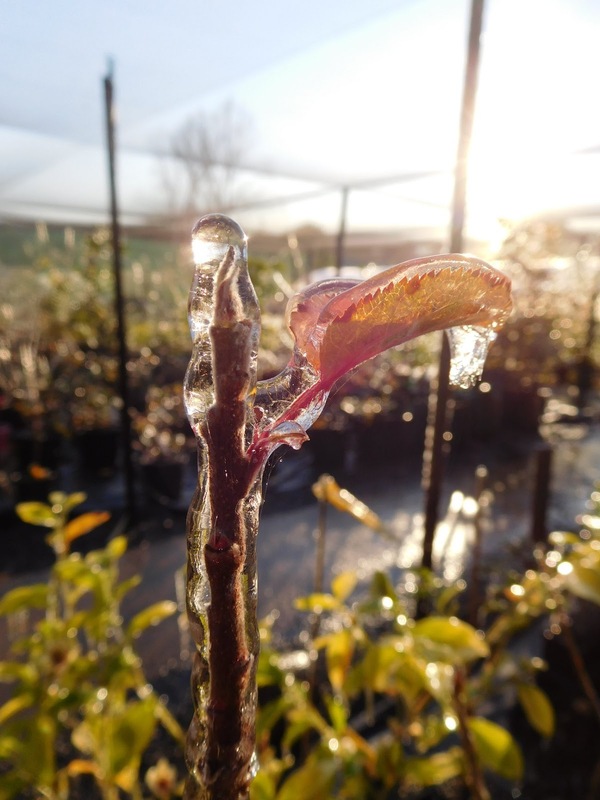 The sprinklers are used to protect the plants from the frost, they form ice on the plants which creates heat and stops the cells from freezing.